Built in 1881 by Norwegian immigrants, the Brighton Methodist Church cost $1,800 to build – a fortune at the time. Rural churches were an important social part of family life in the 1880s. On Sunday, the family would dress in their “Sunday best” clothes for the church service and social gathering that followed the services. Church was viewed as an opportunity to escape the hard work and isolation of farm life. As soon as a settlement was established, the local families would join together to build a church for their community. Many of the churches had strong ethnic and cultural ties to the specific nationality of the settlement. It was not uncommon to hear a sermon in German, Norwegian, or Swedish instead of English. 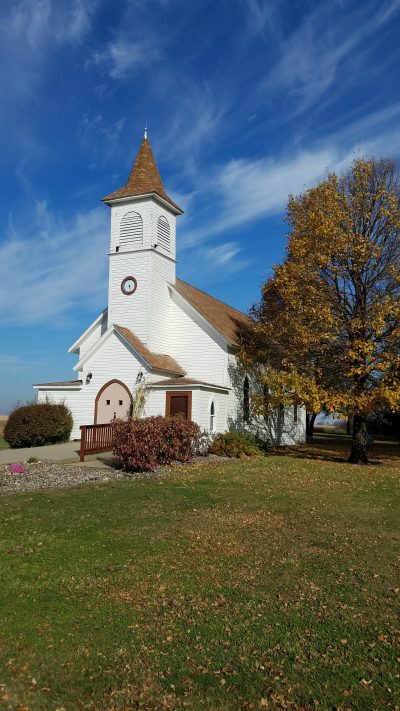 After this church closed in 1984, it was donated to Farmamerica by the congregation.